Our usual guide and host, Richard Gill, has withdrawn from this concert. 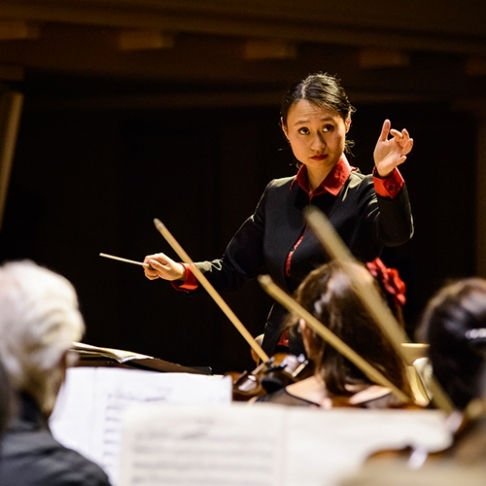 We’re pleased to welcome MSO Cybec Assistant Conductor, Tianyi Lu to guide you through this renowned work. Part concert, part guided-musical-journey; this is music education at its finest. Prelude to the Afternoon of a Faun is a symphonic poem for orchestra, completed in 1894 by one of the most influential French composers of all time; Debussy. This famous composition is often considered a turning point in the history of music, join us and find out why. Get your tickets to French Classics to see Prelude to the Afternoon of a Faun performed by the full orchestra (conducted by Fabien Gabel). Friday 23, Saturday 24, and Monday 26 November at Hamer Hall.